Draxler warns Germany: Mbappe has 300 hp! Kylian Mbappe boasts "300 hp" and is almost impossible to stop if he is given space to run, Paris Saint-Germain team-mate Julian Draxler says. Germany head to Paris on Tuesday to take on world champions France in the Nations League, hoping to bounce back from last weekend's 3-0 defeat to Netherlands in Amsterdam. 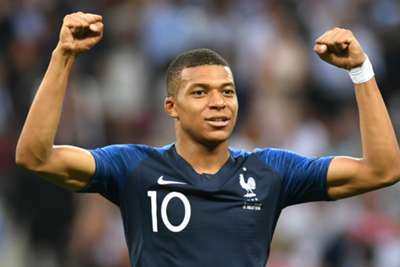 Mbappe helped France rescue a 2-2 draw with Iceland in a friendly match last time out, taking his tally to nine international goals in 2018 in the process. And Draxler admits Germany will need to be at their collective best to stop the explosive 19-year-old from running riot against their defence. "If he has space to get started, it's almost impossible to catch him with his 300 hp," Draxler told T-online. "His speed and his finishing [are his biggest weapons]. We must not allow him to use either, by defending very compact." Mbappe has enjoyed a strong start to the domestic season, too, with eight goals in just four starts in Ligue 1. PSG are firmly on track to defend their domestic trophies and have lost only one match in all competitions under head coach Thomas Tuchel – a 3-2 Champions League reverse to Liverpool. Draxler says Tuchel's response to the team after that defeat at Anfield highlighted the demands he places on the players, but insists the former Borussia Dortmund boss has created a positive vibe in the dressing room. "He spreads a good atmosphere, inside and outside. He lets us play attractive football, he has clear ideas and he gives these to us very clearly," Draxler added. "After losing to Liverpool, he told us very clearly what had gone wrong. Not everything is 'peace, joy and pancakes' on the way to success. But that's also why he does very well and has the team on his side."